Off the floor, onto the walls, and out of your parking place! 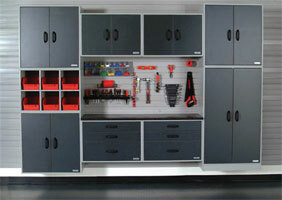 American Fixture also carries a full line of products to meet your garage organization needs. Maximize wall and overhead space in a snap with a variety of products. With state of the art products you can add style and sophistication through modern design. Transform your old garage into a functional workspace that provides plenty of storage options for tools, sporting goods and household items. 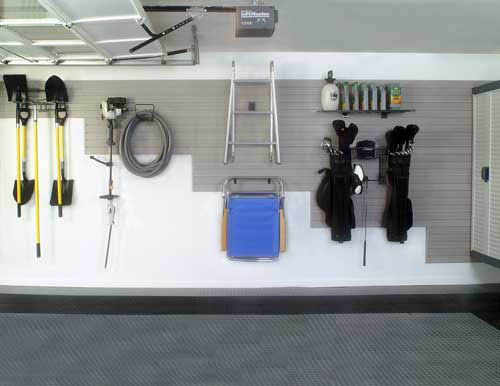 If you would like to see more examples of what our product can do please check out our garage organization photo gallery.